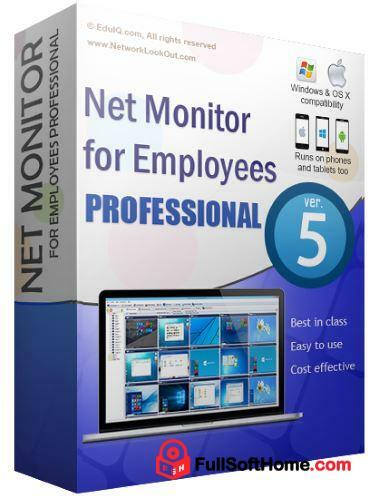 Network LookOut Net Monitor for Employees Professional – is a tool that allows you to watch the screens of the computers connected to the network. This way you can observe what your employees are doing! Additionally, you have the ability to take control of a remote computer by controlling the mouse and keyboard. You can record remote computers screens even when you are not monitoring them. When your employees need instructions, you can show them your desktop. To increase your efficiency the console now include several tolls that can be executed on all or just selected remote computers. When you need attention you can send a message to employees and/or lock the remote computer. Communication uses encryption. Application works through Internet, LAN, WLAN or VPN. Agent can be remotely installed. • Displaying a live picture of a remote computer. • You can take control of a remote computer by controlling its mouse and keyboard. • More remote screens can be displayed in a table. • A remote screen can be zoomed to an actual size. • The name of the connected user is displayed. 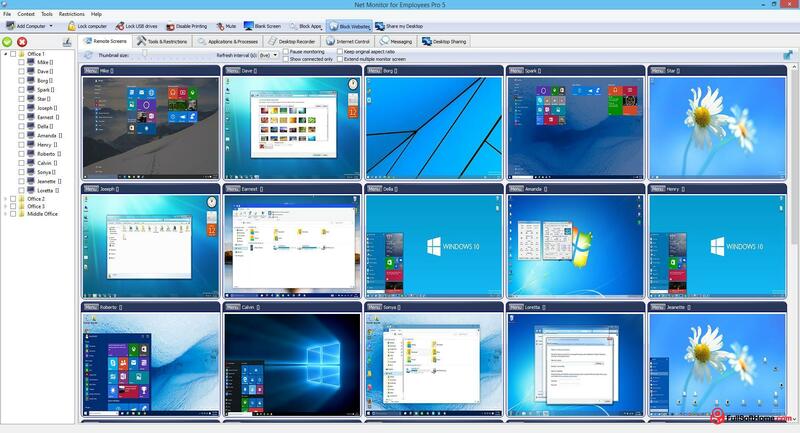 • Record remote computers screens to AVI files. • You can display a message on selected remote computers. • When lower bandwidth is required, the refresh interval can be enlarged. • Automatic connection to a remote computer is optional. • Settings for the agent are encrypted and password protected. • Connection to a remote computer is password protected. • Access to monitoring the console is password protected. If more users use the same computer, different profiles and access passwords can be set. • More monitoring consoles can be connected to the same remote computer – you can monitor your students from different locations. • Application can optionally use encrypted communication. • Agent can be remotely installed. • Fast users switching is supported.